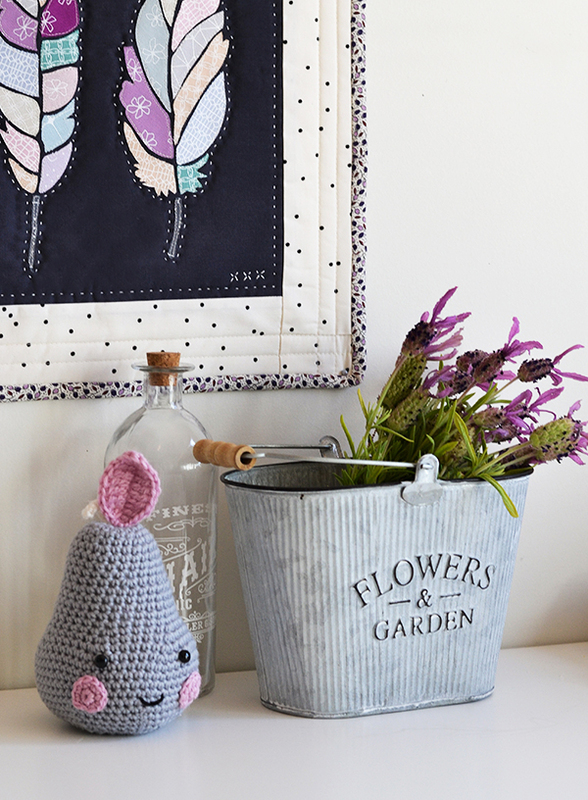 Today I am going to share more of my makes from the book 'Sweetly Stitched Handmades' by Amy Sinibaldi (see my previous projects here). 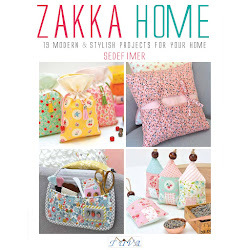 I love this book and I literally want to make everything in it - if only there were more hours in the day! 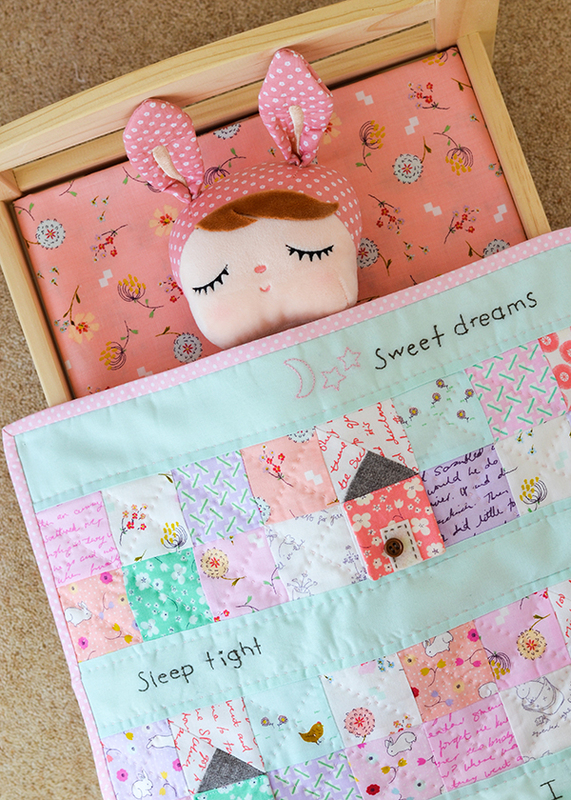 First up is my version of the 'mouse house' doll quilt. 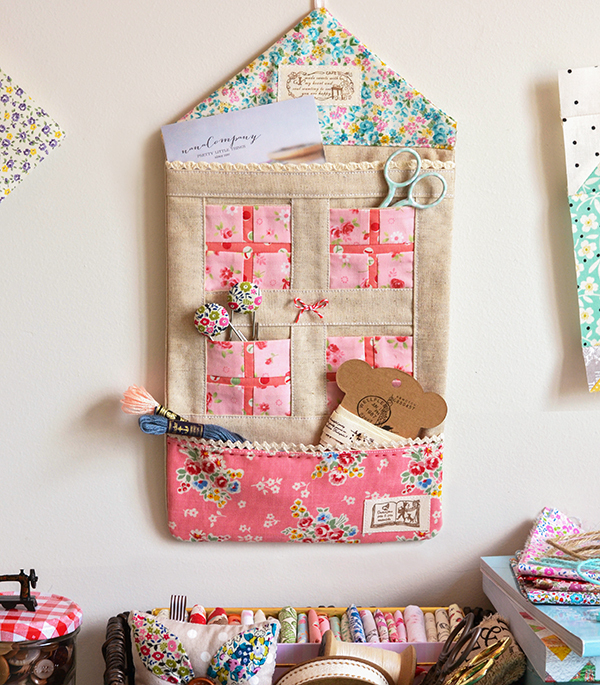 The fabric range I used is 'Posy' by Aneela Hoey, a favourite of mine. Sadly it is now out of print so I reserve it for extra special projects such as this one. I love those peek-a-boo house flaps! 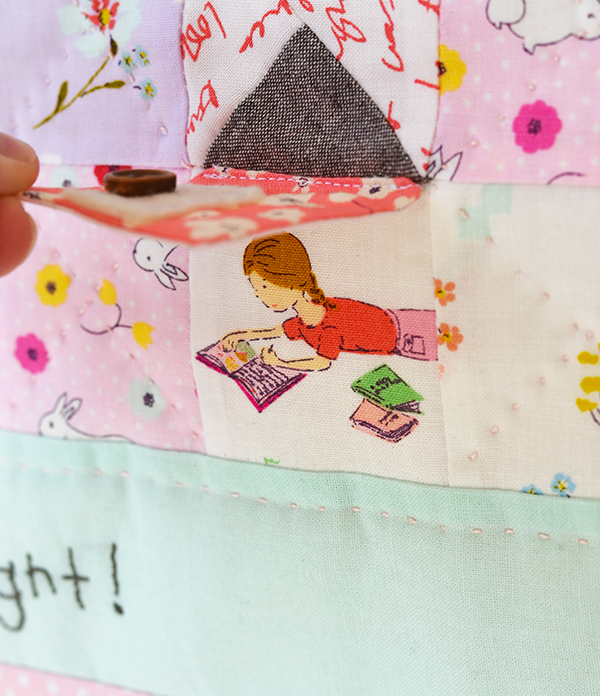 My quilt has little girls reading books underneath them (instead of mice). 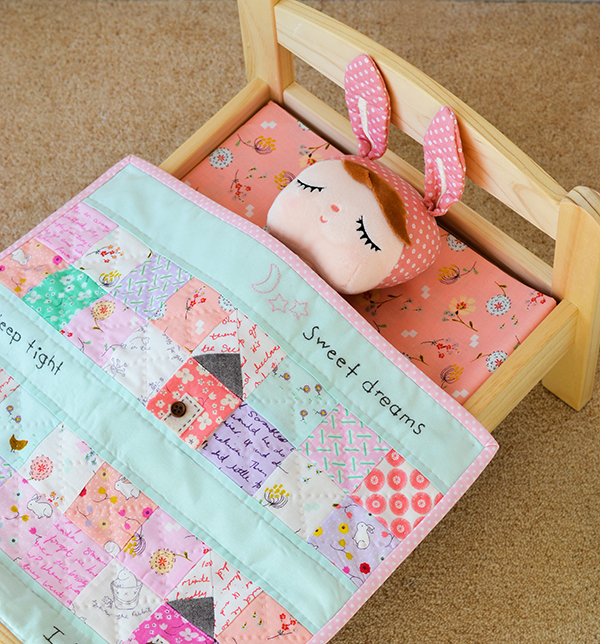 The quilt is completely hand-quilted which complements the hand-embroidery perfectly. 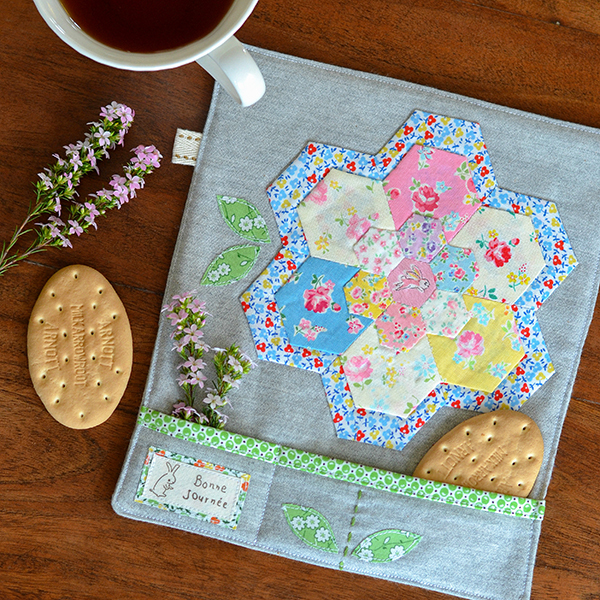 The second project I want to show you is the 'stacked hexagon mug rug'. 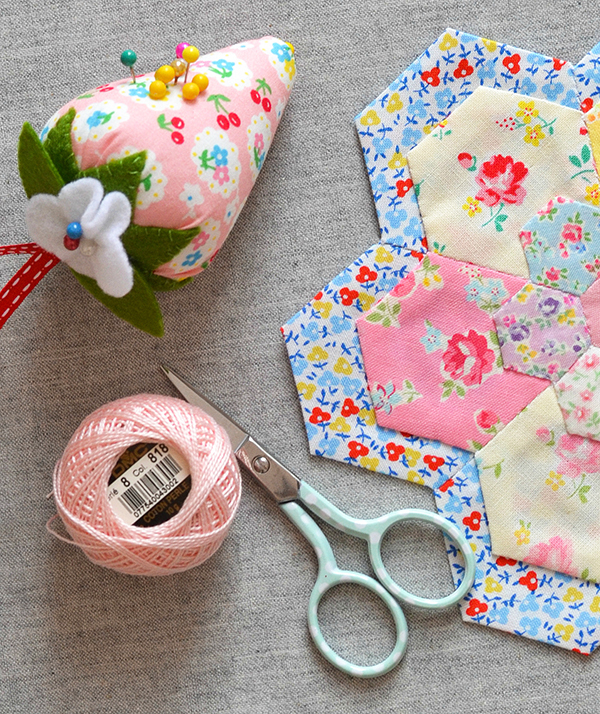 The hexie flower was English paper-pieced by hand. I used some of my favourite Yuwa prints here. 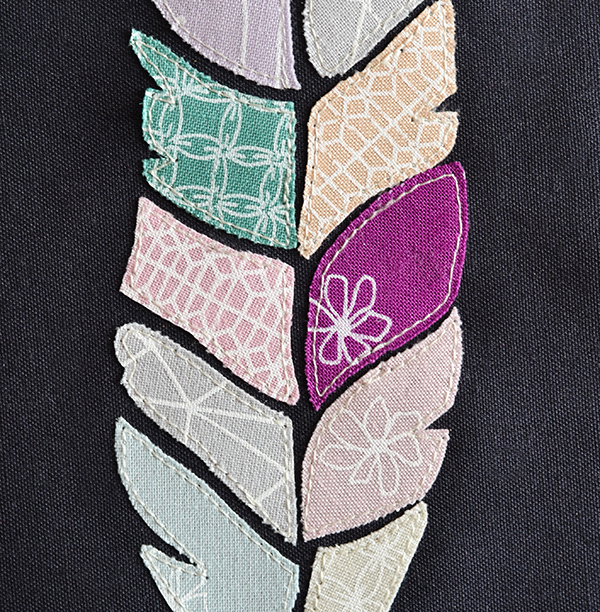 The leaves and the patch are raw-edge applique. And last but not least is the 'many pockets house hanging'. 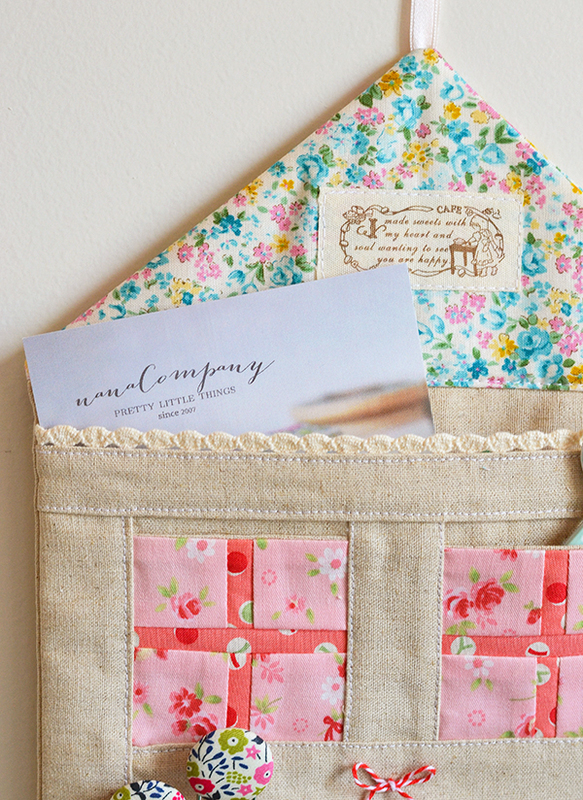 Perfect for all those little treasures that I cannot bear to put away into a box or drawer, and they just seem to forever float around my sewing space. Now they have a home! 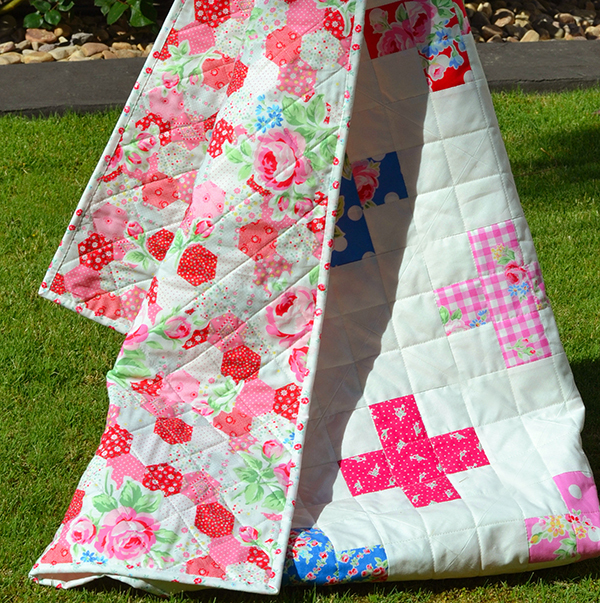 For this project I have used fabrics by Dolly Henry - a cute Aussie fabric shop I recently discovered. 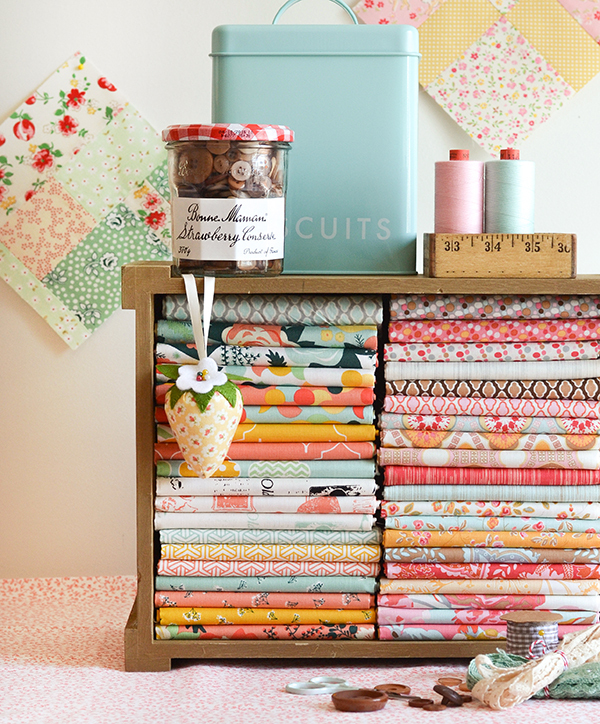 Megan (who runs Dolly Henry) has a real eye for colour and pattern combinations and curates the sweetest bundles! 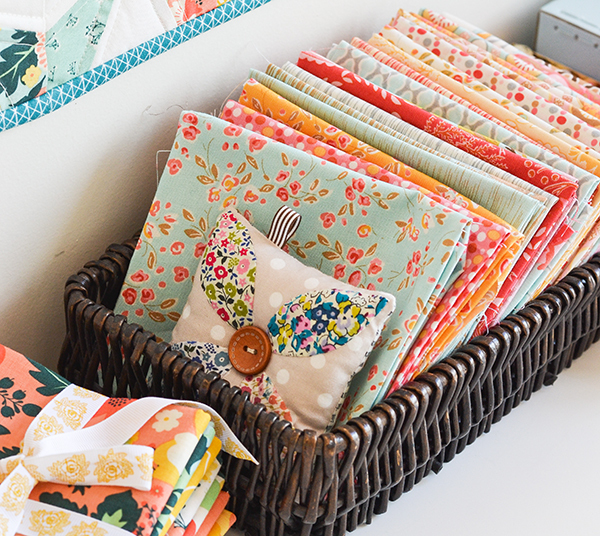 The great news is that she kindly offered to give this pretty fabric bundle to one of my readers. If you would like to enter the giveaway pop over to my Instagram account and follow the instructions. Open worldwide, winner will be selected on Monday, 2 November. I am also so happy to tell you that I won one of the rounds of the Sweetly Stitched Sew-Along, and as a prize Amy herself sent me this AMAZEBALLS parcel full of goodies. That teeny tiny sewing machine! 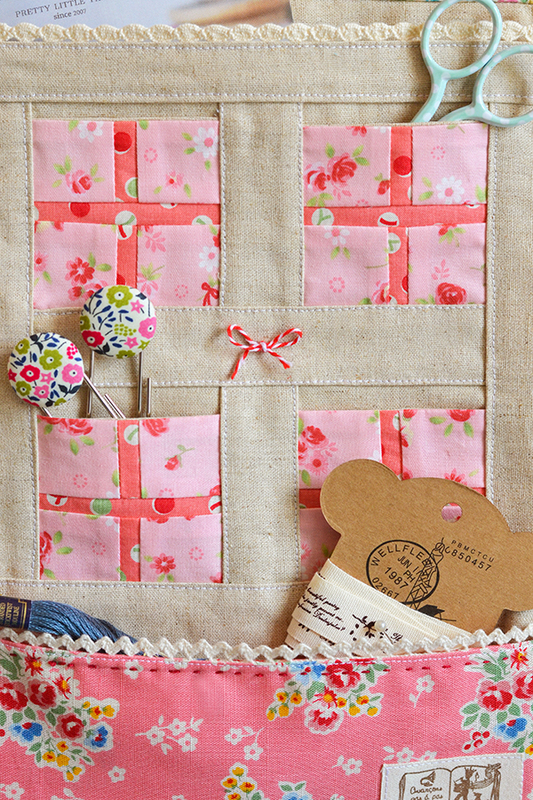 The sweet pincushion hand-made by Amy herself! And of course the beautiful fabric !! And everything so beautifully presented, like anything Amy does. Thank you Amy! I will hopefully come back to stitch more projects from this gorgeous book, but it's going back on my bookshelf now as I embark on a very exciting new project which will keep me busy for the next few months. I am dieing to share it with you all (like shout it from the roof tops), I promise I will do so as soon as I am permitted to. 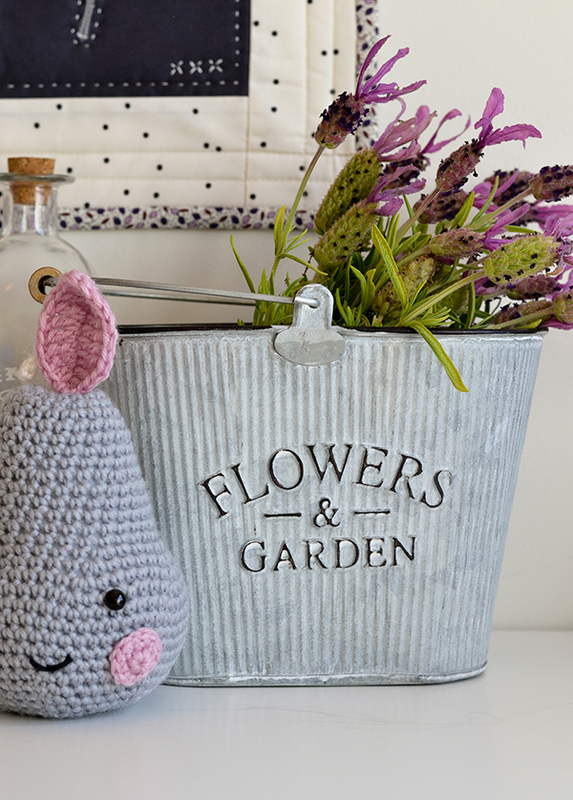 And share little sneak peeks of my secret squirrel sewing of course - keep an eye on my Instagram feed for clues! 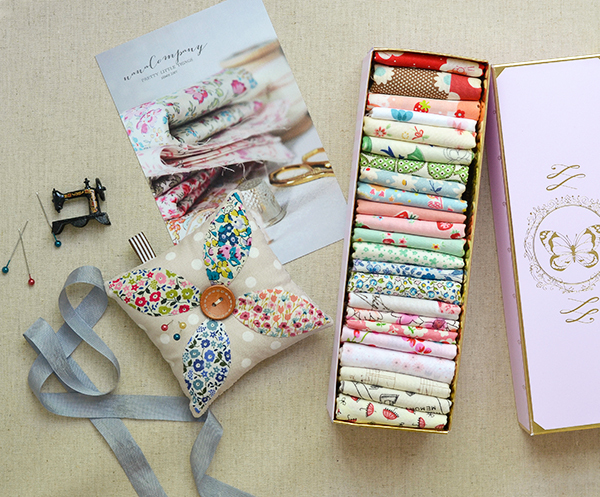 A pretty fabric bundle arrived on my doorstep recently, containing two new Riley Blake lines: 'Fancy & Fabulous' by Fancy Pants Designs, and 'Chatsworth' by Emily Taylor. 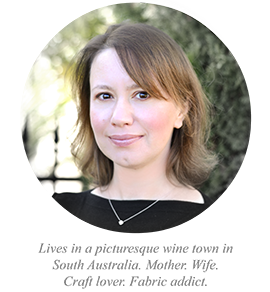 This was a surprise bundle courtesy of Millhouse Collections, our local Riley Blake distributor here in Australia. So when I opened the parcel I thought it was all one line! Don't the colours complement each other really well? (that's Fancy & Fabulous on the left and Chatsworth on the right). 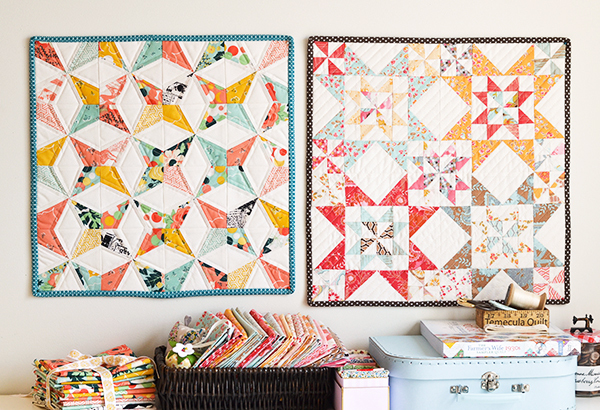 As the fabrics worked so well with each other I decided to make two coordinating mini quilts to hang next to each other on my mini-wall. 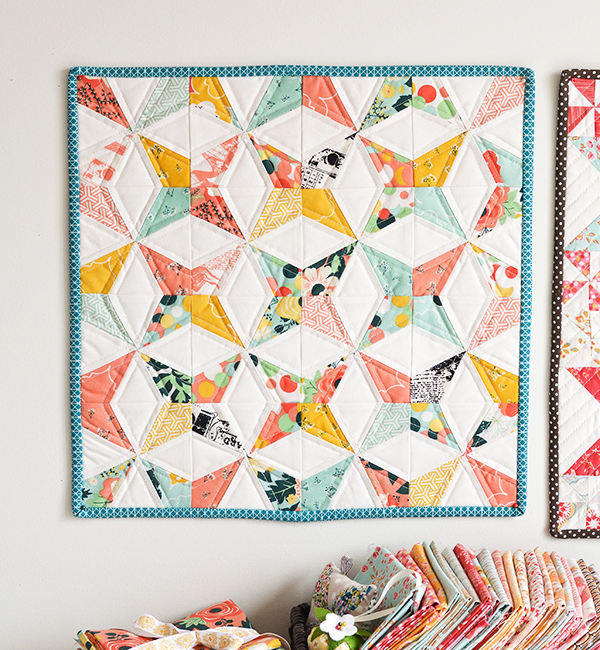 I chose patterns from two very talented Australian quilters (and whom I am proud to call friends, even though we've never met in real life as they live in different states): Jemima from Tied With A Ribbon and Peta from She Quilts A Lot. For the first mini I used 'Fancy & Fabulous' and Jemima's Kaleidoscope pattern, which is a foundation paper piecing pattern. 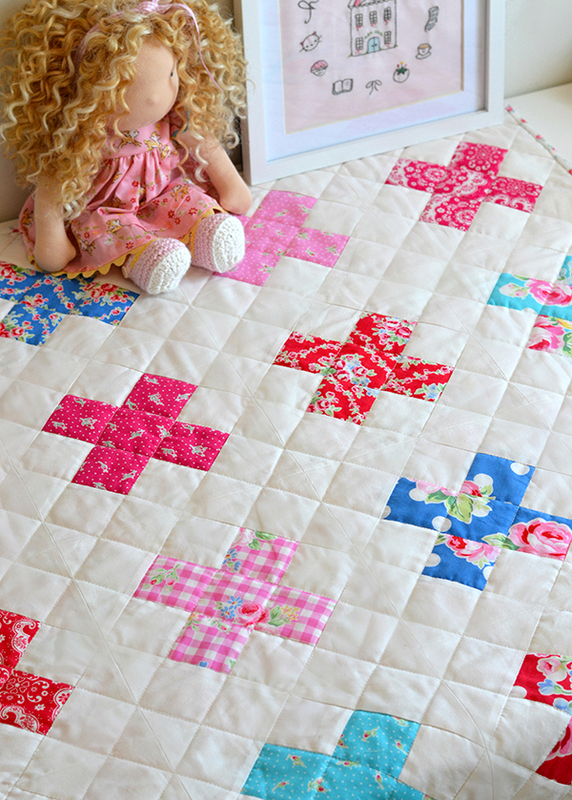 I was a foundation paper piecing virgin before this mini, but the pattern seemed clear enough and I thought 'how hard can it be?'. Very hard as it turns out, if you don't read the pattern carefully. So after getting myself all confuzzled for an hour or so and wasting way too much fabric doing trial-and-error, I finally figured out the mistake I was making. Once the penny dropped and the technique 'clicked' it was super easy. Pretty satisfied with the accuracy of my points considering it was my first time doing foundation paper piecing (don't look too closely!). 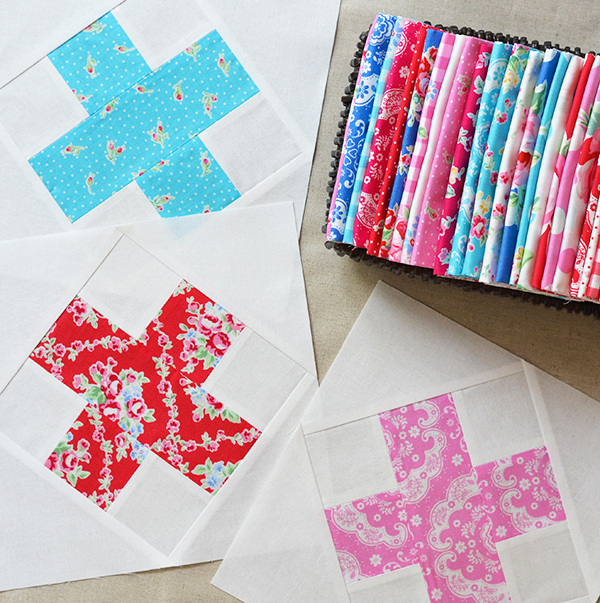 No wonder so many quilters around the world love this technique so much. 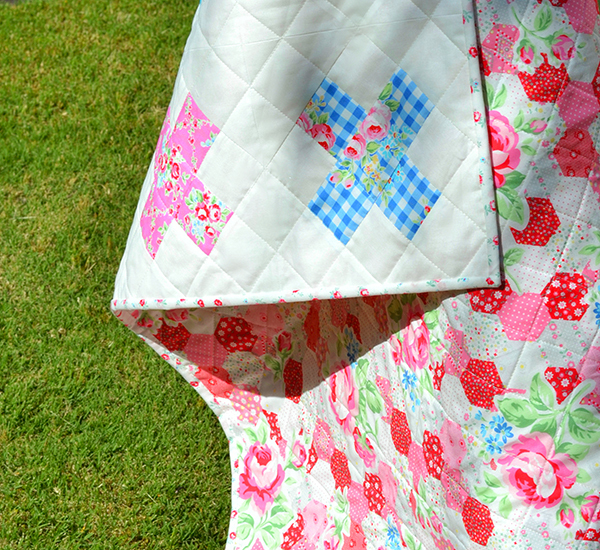 I am so glad I learnt how to do it as I will be using FPP for some of my Farmer's Wife quilt blocks soon. 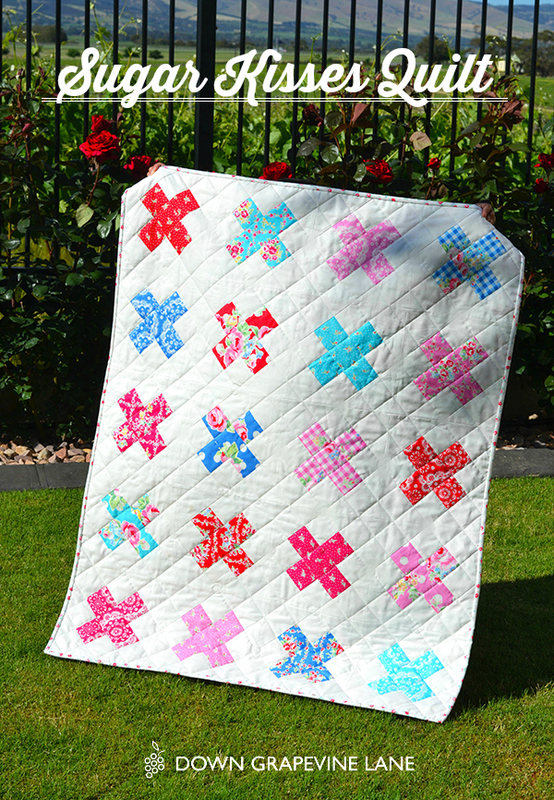 For my second mini I used 'Chatsworth' and Peta's pretty mini quilt pattern, 'Down South'. 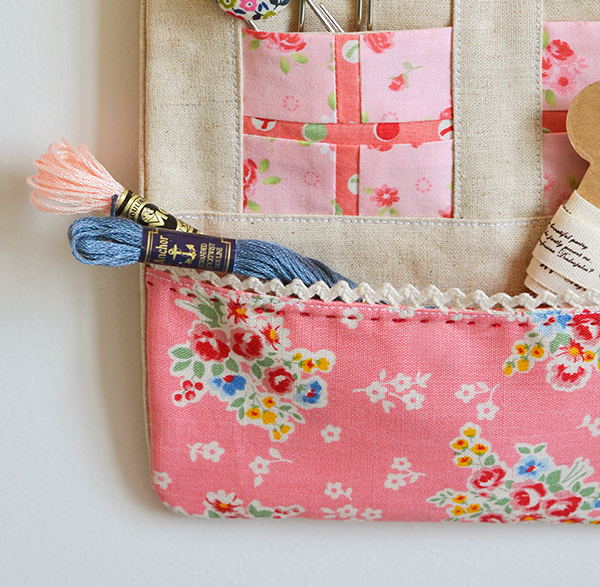 My seam ripper got a bit of a workout during the making of this mini (see how teeny tiny those pinwheels are!) It was worth the extra care though and I am very pleased with the result. 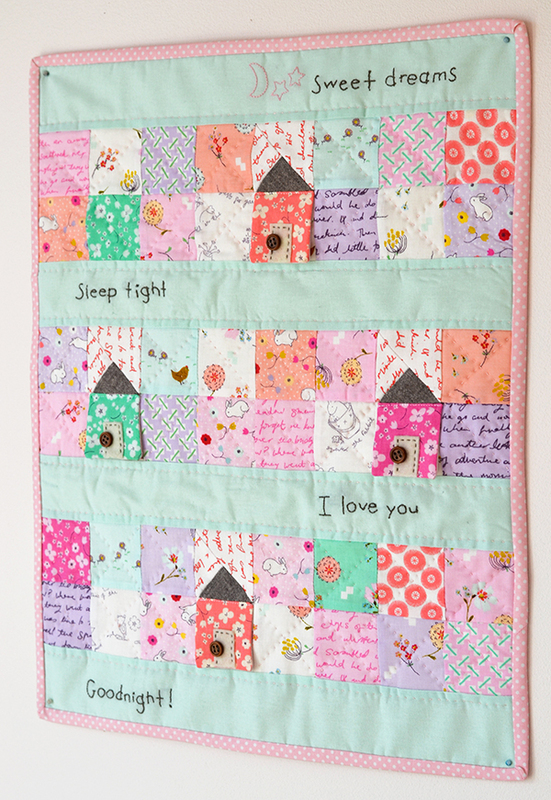 Peta also has a full size quilt version of this pattern in her online store. Two wonderful additions to my mini-wall! Thank you Jemima, Peta, Millhouse Collections, and Riley Blake Designs! 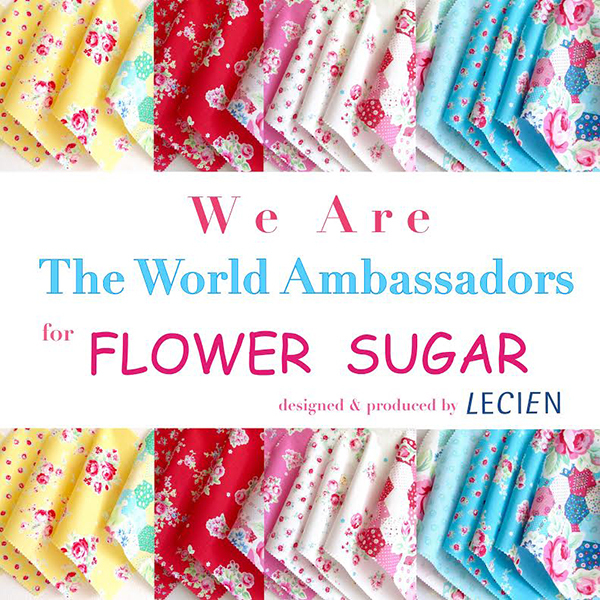 I was recently invited by Lecien to join their newly launched Flower Sugar world ambassador program - which means I am one of the lucky few designers who get to play with the new Flower Sugar ranges before they are released to the public. Such a privilige! 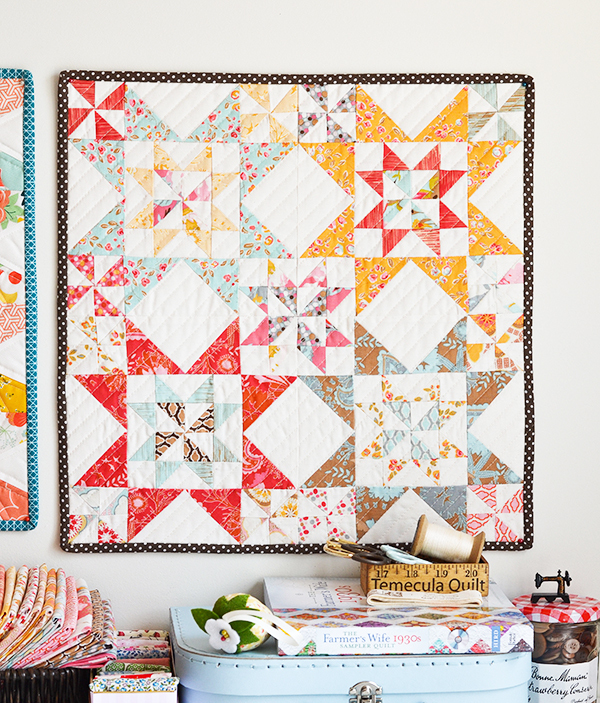 The first collection I got to sew with is Flower Sugar Fall 2016 which is making its debut next week at the International Quilt Market in Houston. I made a baby quilt. Covered in kisses. Sugary kisses! 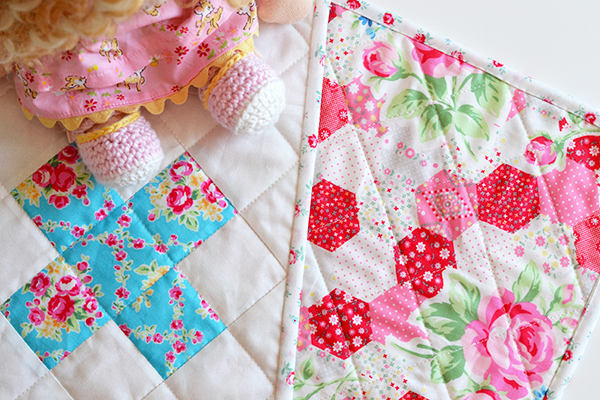 The pattern I used is the 'Raspberry Kiss Block' by Rachel of Wooden Spoon Quilts - she has a great tutorial for it here. 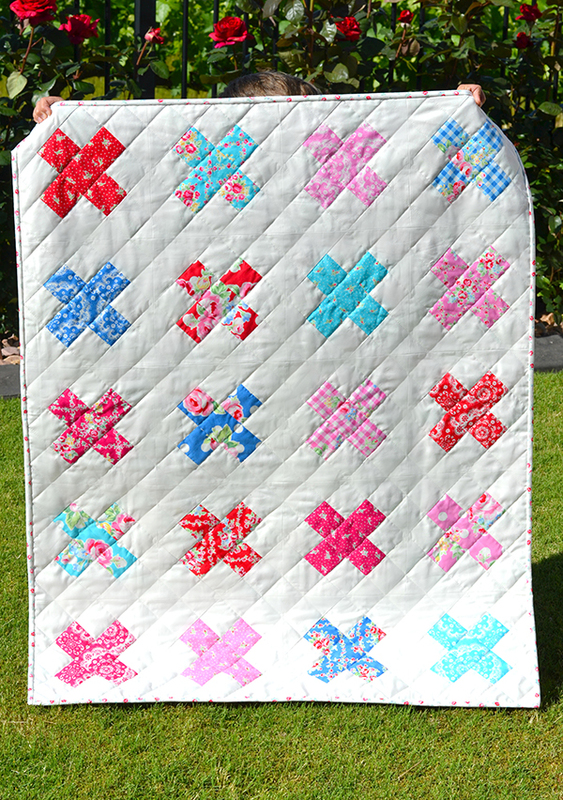 I wanted a lot of white in this quilt to balance the bold, saturated Flower Sugar colours, so the final design did not become too 'hectic'. 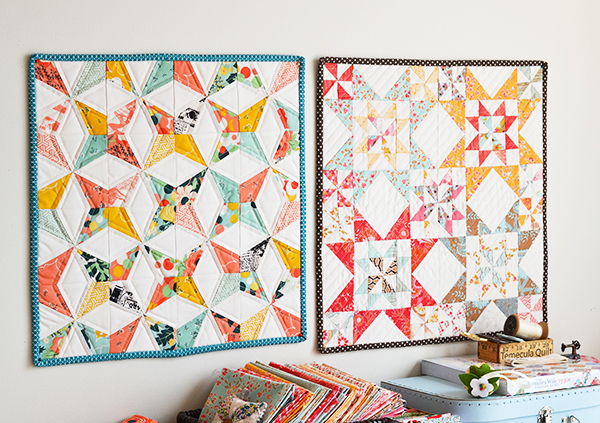 I also really love the fact that the fabric in each block is really the 'star of the show' here without having to compete with the other prints. I straight line quilted it in the ditch in a criss-cross pattern. After reading about all the horror stories concerning Frixion pens (the lines reappearing in the cold!) I used a Hera marker to mark the quilting lines for the first time. I can't say I am a convert. I found it quite hard to see the marks when I was quilting late at night, so there was an element of blind-sewing. Does anyone have any tips on working with Hera markers? Maybe my technique needs improvement! 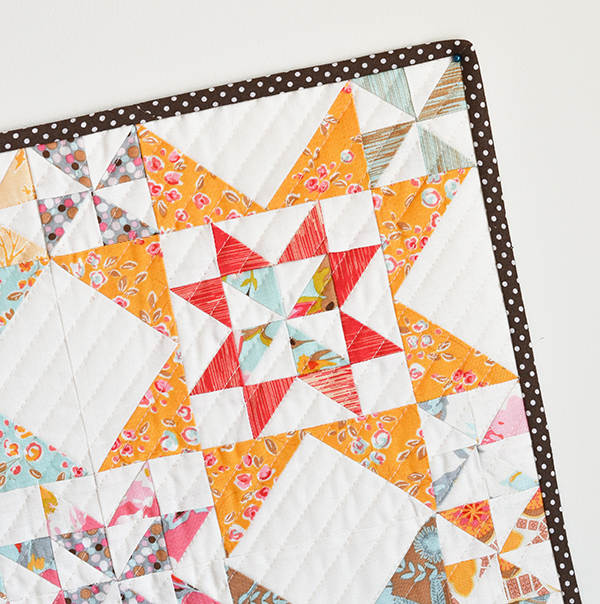 I only had a fat quarter bundle to work with, so for the backing and binding I used Flower Sugar Spring 2015 which is in stores now. 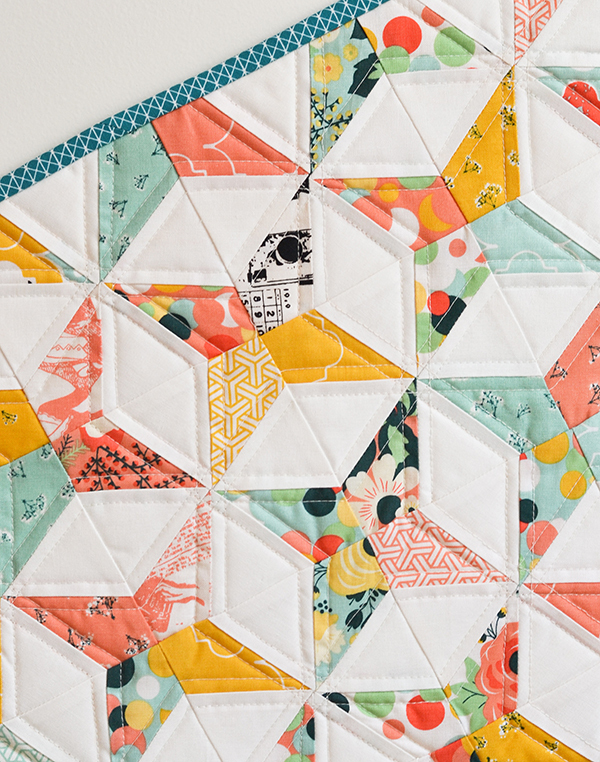 That hexie print makes the most wonderful backing, don't you think? 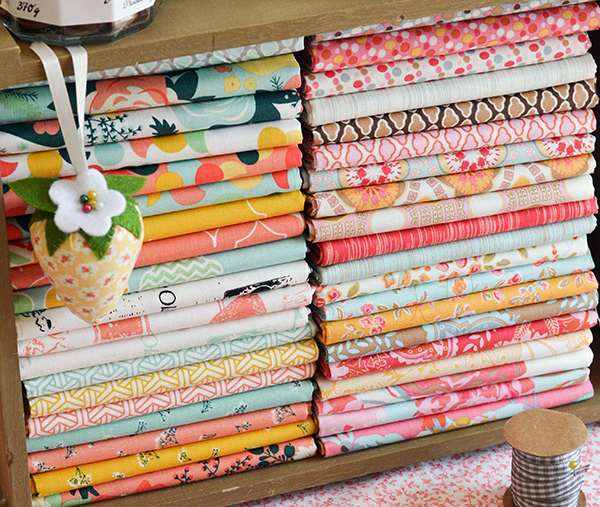 I also love how well all the Flower Sugar collections work together. 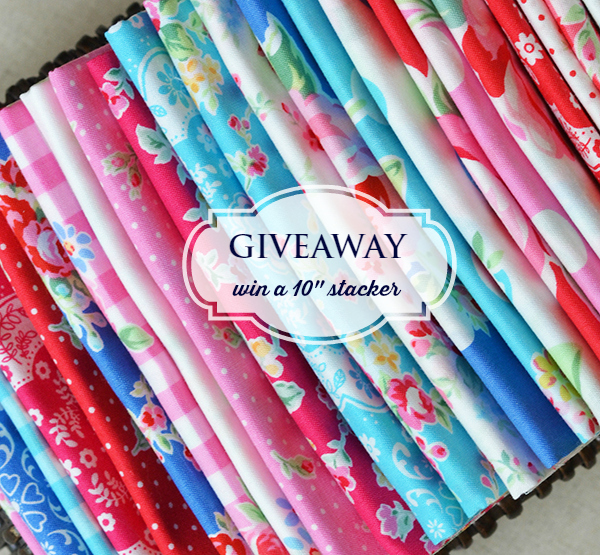 If you would like to win a 10" stacker of this collection and have the chance to sew with it before everyone else, please leave a comment either here or on my Instagram feed telling me what you would make with it if you won! I will pick a winner on Wednesday. Open worldwide. Good luck! My awesome Liberty Tana Lawn supplier Ava & Neve started selling Karen Lewis Textiles fabric recently, and she sent me some to play with. I put them next to my sewing machine, and kept looking at them for a few weeks, waiting for inspiration to hit. Then one day I was watching the kids playing at the park - I looked down, and there was a feather on the ground. With the sun on it it was almost pearlescent - lots of pastel hues. 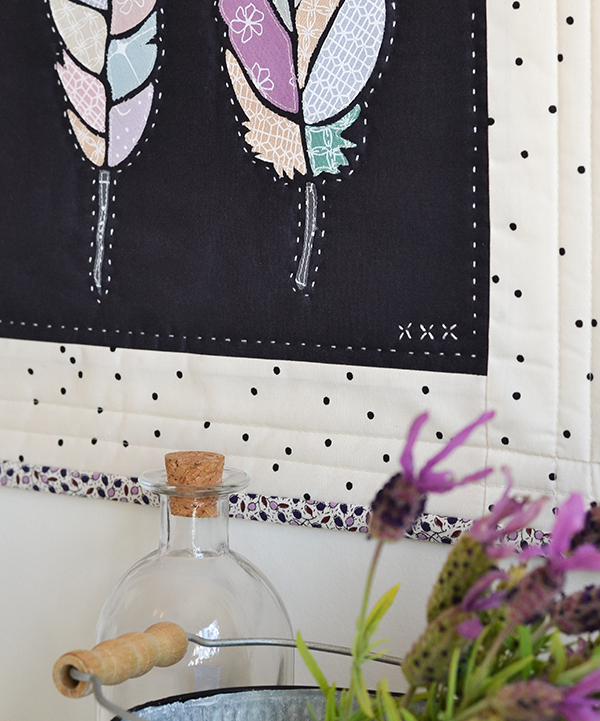 And I knew exactly what I had to make with these pretty screen printed fabrics - a raw edge applique quilt featuring feathers. Designing the pattern was the easy part - deciding on the background fabric wasn't. It took me days to make up my mind (am officially queen procrastinator). I had originally planned to applique the feathers onto grey linen but I shared a work-in-progress photo on Instagram where the feather pieces were laid out on a charcoal sand board. And everyone said I should use charcoal instead of grey! After much umming and erring I finally listened to the communal wisdom of the sages of Instagram (I mean, who am I to argue). And I am so glad I did. 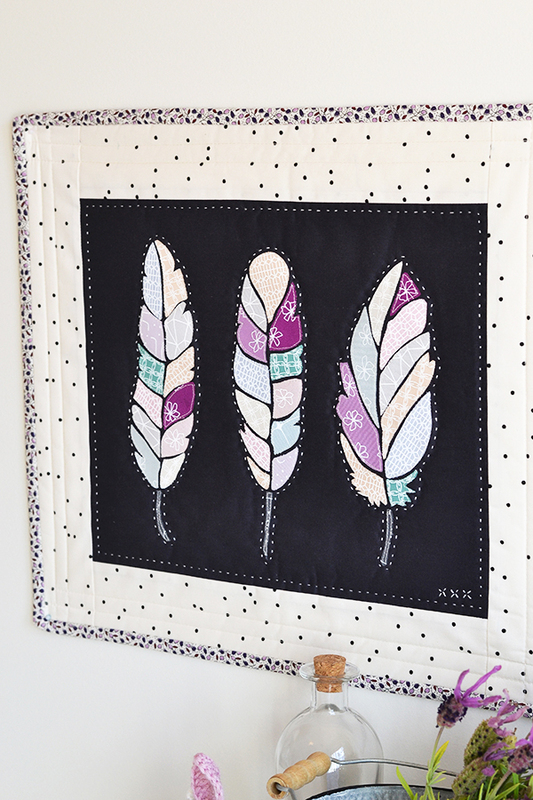 I love how each feather piece really 'pops' against the dark fabric. 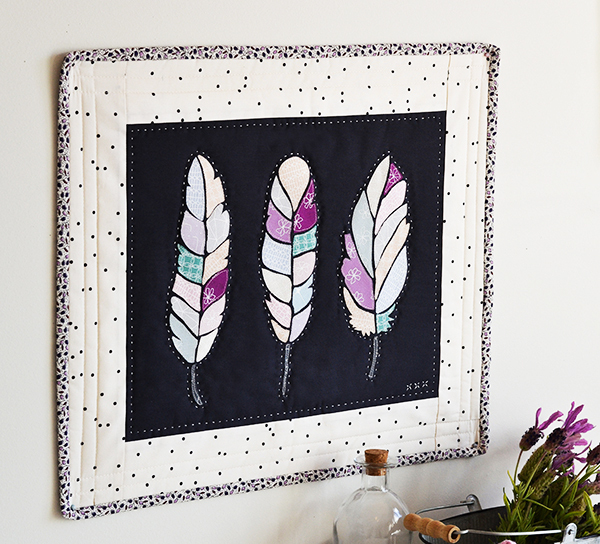 This is quite a modern design for me compared to my usual style - so to make it a little more 'me' I hand quilted around the feathers and the frame, and added some embroidered Xs to the bottom corner. I have learned two things from this project: 1. I need to sew with purple more, 2. A design can be pretty without having lots of pink and/or mini florals (gasp! Shock, horror.) Huge revelation, right there. I had been meaning to write a technique tutorial for raw edge applique, so I took photos whilst making the mini. I am so glad I did, there were a few requests for the pattern and tutorial when I shared a photo of the finished mini on Instagram. So without further ado, here is your step by step guide. Step 1. 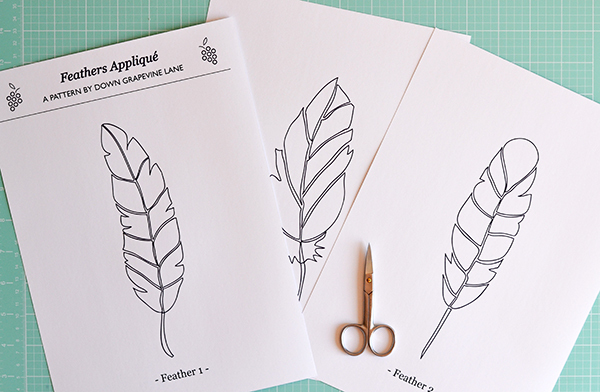 Download the feathers pattern from here and print it out. I print my applique patterns on to heavyweight matt photo paper, as the extra thickness makes it easier to handle whilst cutting and tracing. However if you don't have any heavyweight paper normal printing paper will be fine too. Step 2. 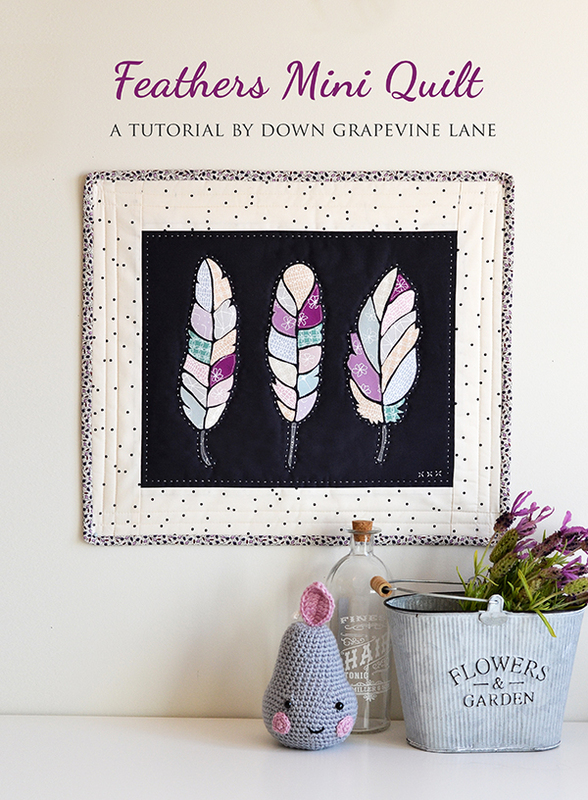 Using a pair of small scissors carefully cut out each feather piece from the pattern. My secret tip here is to use a pair of curved nail scissors. Try it and you will see how much easier it is to cut out curved pieces using these as opposed to regular embroidery or sewing scissors. 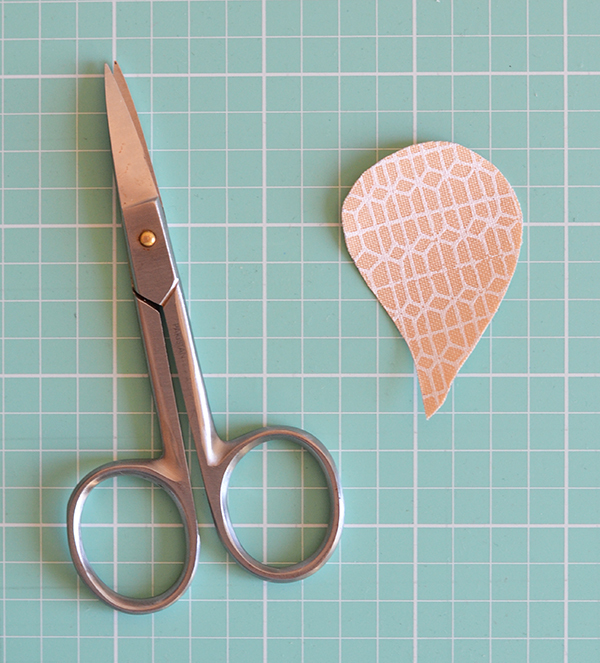 Follow the curve whilst cutting, switch the scissors around in your hand when the curve changes direction. Step 3. 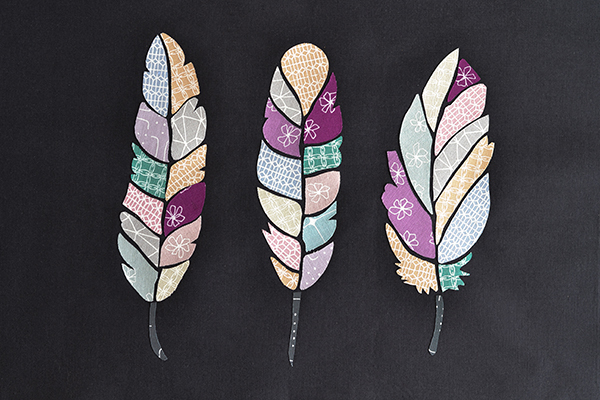 Select your fabrics for each piece of the feather. 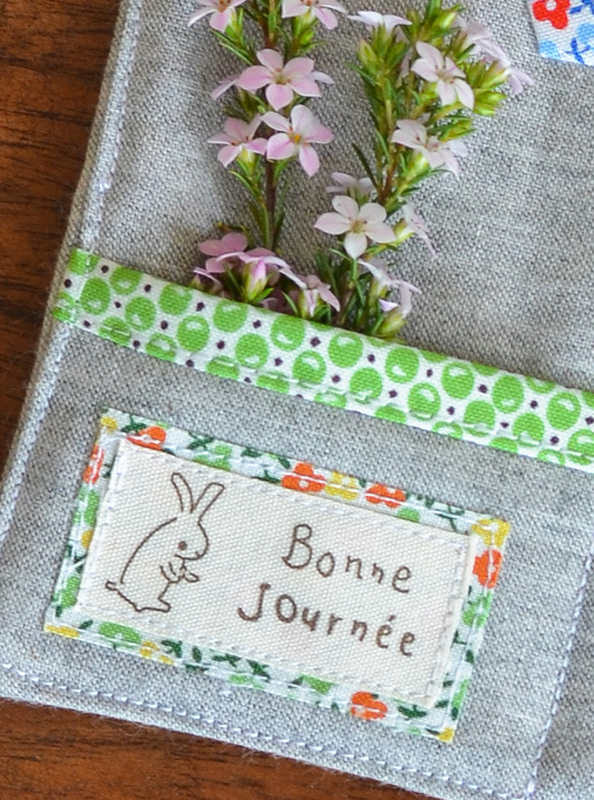 You can use any little scraps of fabric, or a charm pack. For each piece we need to cut out a small rectangle of fabric. I place the pattern piece right side up on top of my fabric to make sure the piece of fabric I am cutting is big enough, and then I cut a rough rectangle with my rotary blade (you can use scissors also). Step 4. 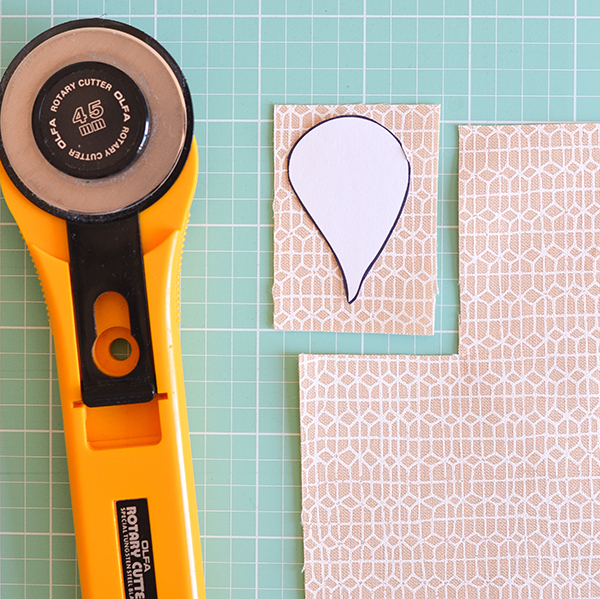 Cut a piece of fusible web the same size as your fabric rectangle. I use Heat'n Bond Lite which is widely available here in Australia, Wonder Under is a similar product in the US. If you are using Heat'n Bond make sure you get the Lite version not the regular, as the regular version will clog up your needle! Put the fabric on top of the fusible web, right side facing up, and make sure the shiny side of your fusible web is facing up also (that's the glue). Turn upside down onto your ironing board (paper backing facing up) and press with hot dry iron (no steam) for 5 seconds until the fusible web has bonded onto your fabric. Step 5. Take your pattern piece, put it on the paper backing UPSIDE DOWN (don't forget to turn or your pieces will end up mirror images! ), and trace around. 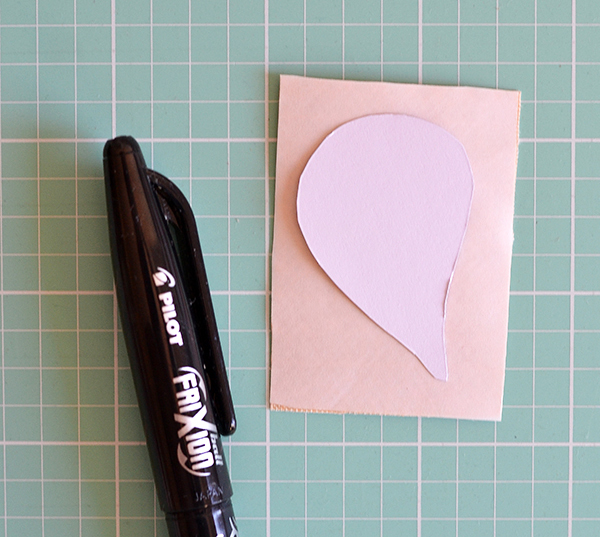 Then carefully cut out the piece on the traced line using your curved scissors again. 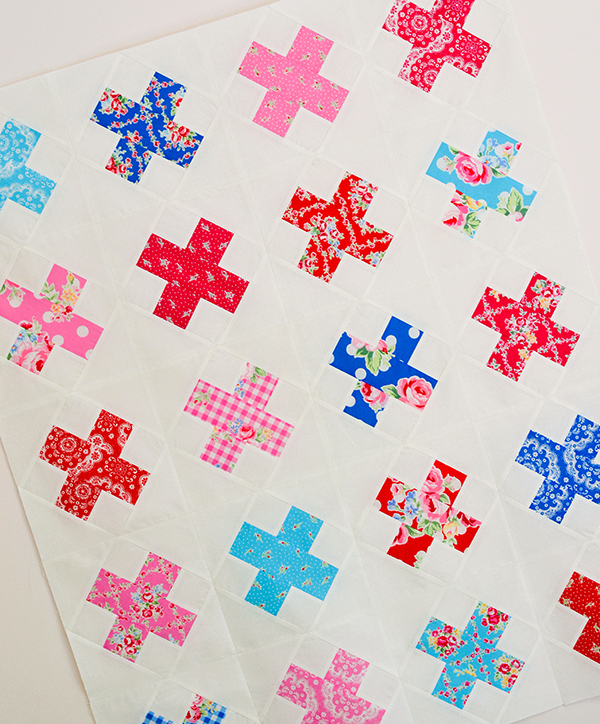 Tip: If you are only using a few fabrics for the project, you will find it easier to line a big square of each fabric with fusible web, then trace all the applique shapes on the back and cut them out one by one. I used quite a few different prints in this project so that's why I used small rectangles for each piece. Step 6. Repeat until all your feather pieces are ready. 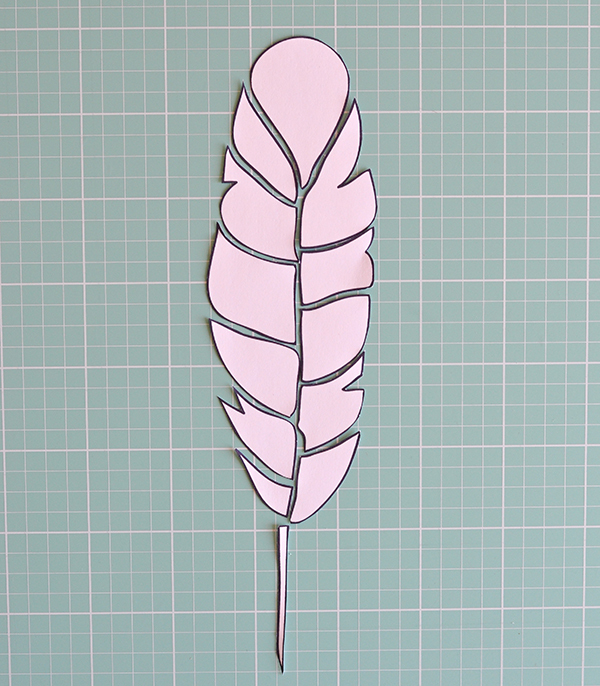 Cut a piece of background fabric (as large as you want, depending on how much space you want between each feather. My charcoal fabric measures 10" x 12") and place it on your ironing board, right side facing up. 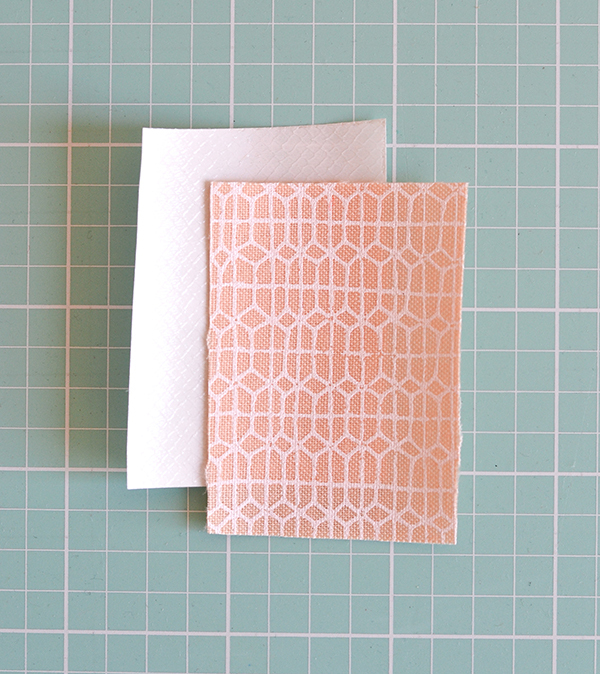 Peel off the papers behind each pattern piece, then carefully place them onto your background fabric, arrange them until you are happy with the finished look. Using a dry iron carefully press each feather, taking care not to move any of the pieces during the pressing. Hold the iron in place for 5 seconds, repeat with the other two feathers until everything has bonded to the background fabric. Step 7. 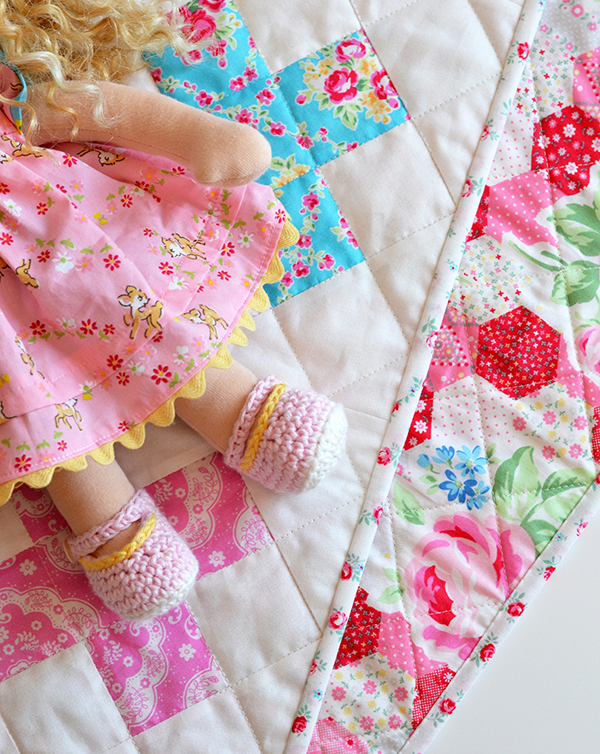 Using the shortest stitch length on your machine carefully sew around each piece 1mm from the edge (start with needle down and go very slowly if you are new to this!). Step 8. Add borders as desired. I added 2.5" borders all the way around using a quarter inch seam allowance (the dotty print is from the Hello Bear range by Art Gallery Fabrics). Step 9. Make a quilt sandwich, and quilt as desired. I machine quilted the borders with two parallel lines half an inch apart, and hand-quilted the interior of the quilt. Add the binding, and it's ready for display!